"The end of Roe v. Wade is coming. How will you prepare?" Join NARAL Pro-Choice Minnesota and local author Robin Marty at Moon Palace Books to celebrate the release of Handbook for a Post-Roe America. After a short reading, you'll have the chance to participate in a Q&A session and purchase your own copy of this timely and important book. Handbook for a Post-Roe America is a comprehensive and user-friendly manual for understanding and preparing for the looming changes to reproductive rights law, and getting the healthcare you need—by any means necessary. 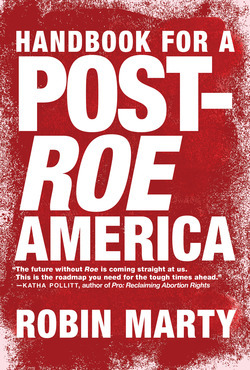 Activist and writer Robin Marty guides readers through various worst-case scenarios of a post-Roe America, and offers ways to fight back.